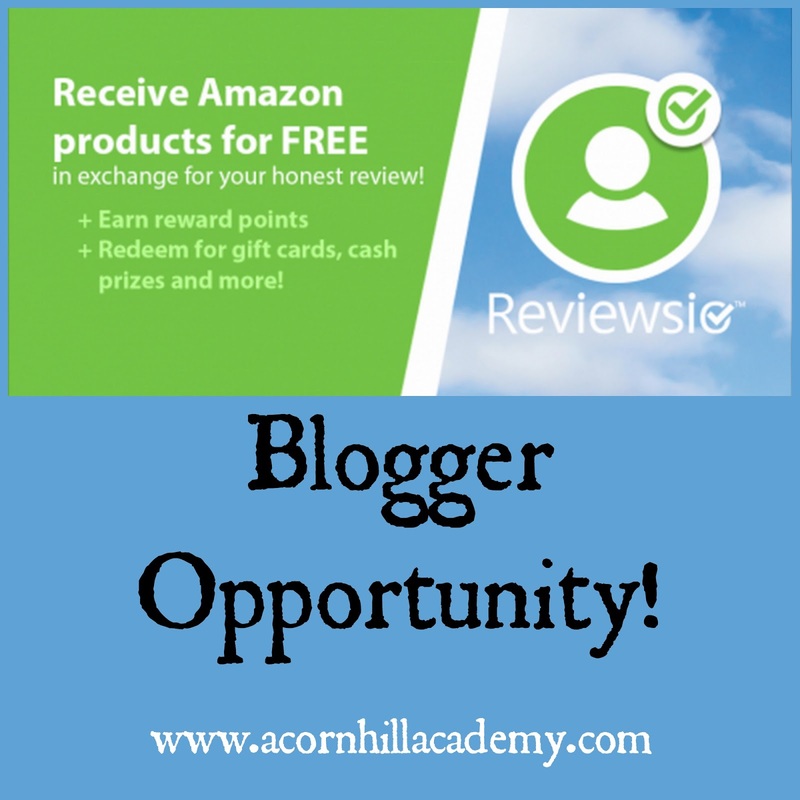 Acorn Hill Academy: Reviewsio: Great Opportunity for Bloggers! Reviewsio: Great Opportunity for Bloggers! I love Amazon. I love my Prime membership, and *love* that I can get most books I need in 2 days with that fabulous free shipping. As a homeschooler, that's been a lifesaver more than once. Also, as we live far away from family, it's the easiest way to send gifts. I am frequently surprised by what one can purchase from Amazon. Now, they are launching a new review program: Reviewsio! Here's how it works: sellers know their business improves with positive reviews, their business improves. You browse the products available for review, and once you're approved for the review, you will receive a code that allows you to order the product from Amazon for a discount or FREE. In exchange for your review, you receive points which you can then redeem for Amazon gift cards. I love writing reviews, and I love free stuff, so this sounds like a win-win to me. If you have a blog, I encourage you to check it out! The link above is my affiliate link. I will receive Reviewsio points if you sign up through my link, but no other compensation.